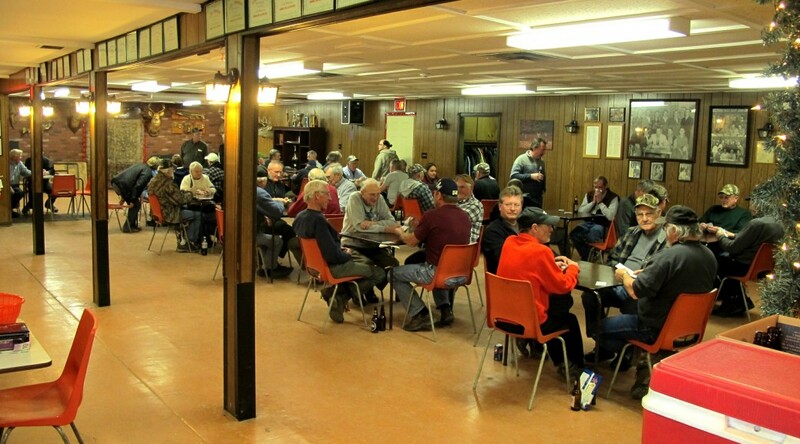 Come the winter months when things slow down outside on the trap and rifle ranges (in 20013-14 we had 9 feet of snow covering the length of the 100 meter range) the club hosts a Euchre night on our regular club night. Beginning in early January, every Wednesday from about 630PM to 10 PM we have card players from Blenheim, Chatham, Ridgetown, etc dropping by for a few hands. For a $5 entry fee anyone and everyone is welcome to come out and play. Don’t have a partner. Don’t worry, we’ll set you up with one. Teams change each week depending on who shows up. At the end of the night our euchre co-coordinators cook up a bit of a meal for all the players. Sometimes its hamburgers smothered in onions, sometimes chili, sometimes its venison stew, you never know what the boys have put together but you always know it will be worth the price of admission.